Pioneer has announced a pair of what the company claims are the first-ever PC disc drives capable of playing 4K UHD Blu-rays - finally giving computer owners a method of playing physical 4K media on their machines. 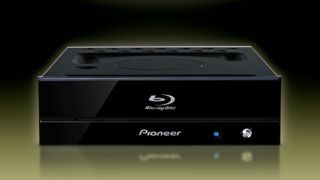 Dubbed the BDR-S 11 J-BK and BDR-S 11 J-X, both disc drives are expected to release in "late February," according to an official release. Pioneer set an "open price" for the two disc drives, though it appears the BDR-S 11 J-BK will run for 22,000 yen (about $200/£150/AU$260), while the BDR-S 11 J-X, which features a few extra bells and whistles for CDs, goes for 35,000 yen (about $310/£240/AU$410), as reported by AV Watch. The drives are powered by CyberLink's popular PowerDVD software, and require a Windows 10 PC with an Intel 7th-gen Core i5 or i7 processor. The rig must also be capable of HDR, HDCP 2.2 compatibility, and an HDMI 2.0a connection. While 4K media is primarily available through streaming services like Netflix, UHD Blu-rays have slowly built up a range of compatible devices for the home theater, including the Xbox One S. You may remember that for its part, the 4K gaming-capable PS4 Pro left 4K movies in the dust. Even so, the list of devices able to play your 4K movie collection is relatively slim (and more often than not, costly). Pioneer's PC drives are only coming to Japan, at least right now, but this could be a good sign that more options for ultra high-def cinema buffs are on the way before long.